PHNOM PENH, (VOA) - Cambodian health authorities are on high alert, following the first confirmed case of Middle East Respiratory Syndrome, or MERS, in Thailand, Thursday. Diagnosis systems have been installed at major border checkpoints and at the airports of Phnom Penh and Siem Reap. Health officials say people traveling in either the Middle East or South Korea should pay special attention to health symptoms and report any suspicious symptoms immediately. Cambodia has no confirmed cases of the disease, Ly Sovann, deputy director for epidemiology at the Ministry of Health, told VOA Khmer. But the country has set up a special response team and is actively monitoring, he said. Cambodian Muslims visiting Saudi Arabia for the holy month of Ramadan should be especially careful, he said. They should avoid drinking camel’s milk and eating raw food. 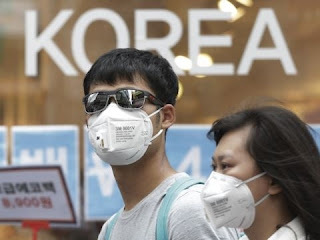 MERS has killed a confirmed 24 people in South Korea alone, and has spread to 26 countries since 2012. Thai officials said Thursday that a 75-year-old businessman from Oman was diagnosed with the disease in Bangkok.